Many humans mistakenly believe that dogs get plenty of exercise by running around the backyard chasing whatever bounces into their boundaries. But nothing could be further from the truth, and the majority of activities dogs do on their own are in short bursts and don’t offer any real benefits. 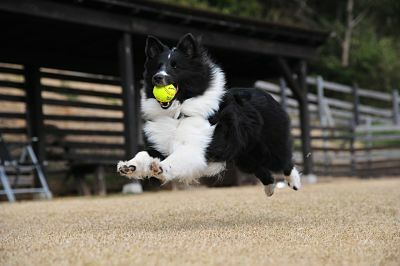 Dogs, like humans, thrive when their bodies stay in motion. Young dogs, especially, need regular exercise to expend pent-up energy. And when you exercise with your dog, you create a bond and establish patterns of good behavior. Here are a few ways to get your dog off the couch. Install a dog run. A dog run is a fenced-in area specifically for the purpose of allowing your dog room to stretch his legs. Typically, according to HomeAdvisor, they are at least 10 feet in width and should stretch the length of your entire yard. They can be covered or uncovered and should contain a sheltered area where your dog can take respite during hot weather. Go for regular walks. A 30- to 60-minute walk after dinner is a great way for both you and your pet to burn a few calories and enjoy the fresh air. Always keep your dog restrained by using a high-quality dog leash. Your leash should be easy to use and comfortable for your dog to wear. Open your home to more than one dog. Studies have shown that dogs with at least one canine companion living in the home are happier and healthier. Plus, they have an opportunity to form a pack and will spend more time together playing and chasing one another. 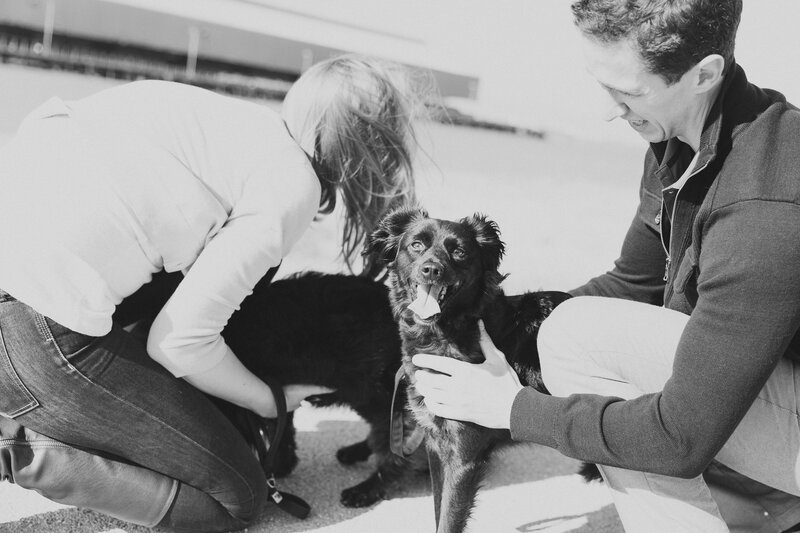 Petfinder explains that having multiple dogs also enhances their social skills. Agility training. Agility training does not have to be for the purpose of competition. Animal Planet asserts that agility training is good for dogs that like to run. It doesn’t matter what breed or age, there are multiple ways to encourage your dog to stay active through structured activities. You might, for instance, build a simple obstacle course of PVC pipes. This Old House offers instructions on how to build your own weave poles, agility jump, and teeter totter. Indoor entertainment. While many of activities you can do with your dog are geared toward spring and summer, your pup should also remain physically active during the winter months. You can encourage this by running up and down the stairs with your dog, setting up indoor obstacle courses, or encouraging your dog to walk on a treadmill. When to stop. As much as your dog needs exercise, he also needs time to rest and unwind, especially when it is hot outdoors. Dogs are prone to overheating and heat stroke, and you should monitor their behavior carefully to ensure they haven’t overdone it for the day. Even when it doesn’t feel too warm to you, consider that dogs can only sweat from the pads of their feet and their nose, while you can expel heat via sweat glands found over your entire body. Brachycephalic breeds—those with flat faces—are more prone to heat-related injury than others, but all dogs should be monitored for signs of trouble. Any time your dog is outside, make sure he has access to cool, clean water. When you are on the go, bring an extra bottle of water along with you and a small bowl he can drink from. Keeping your dog fit and healthy can enhance his life and give you many more quality years together. But remember, safety comes first. When you’re out in public with your dog, always keep him by your side and watch for signs that he’s had enough. If you enjoyed this post, you should read Building A Reliable Recall-Part 1 here. How do you exercise your pup? Share below!